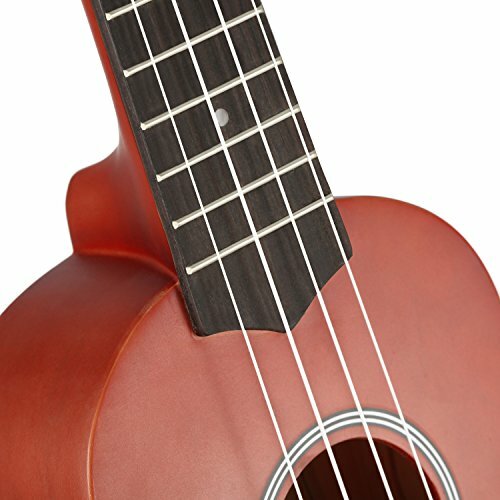 TRADITIONAL 21INCH SOPRANO UKULELE. 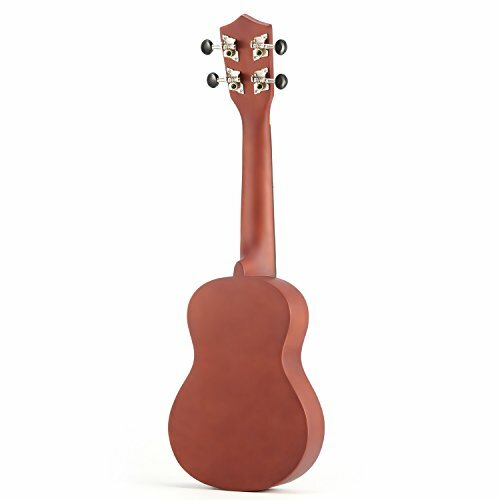 With high quality basswood body and four nylon strings. ACOUSTIC GUITAR WITH 12 FRETS. 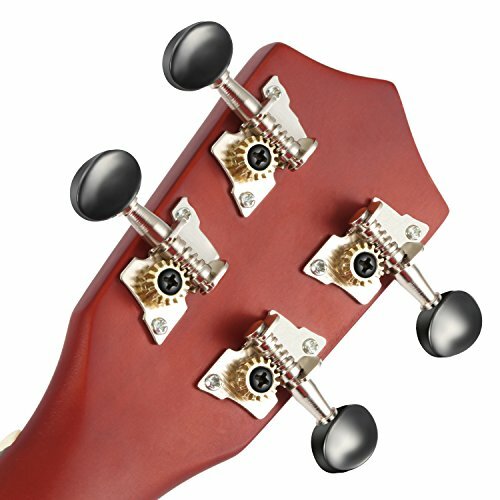 Designed with fret position marks at 5th, 7th, and 10th frets on neck and top of the fingerboard. Moukey Ukulele offers great sound,All the time stays in tune. 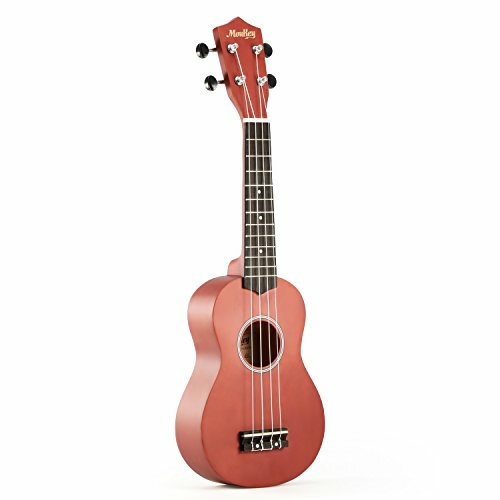 The basswood body make the Moukey 21 B-BR a great Ukulele for beginners.easy to carry and play! 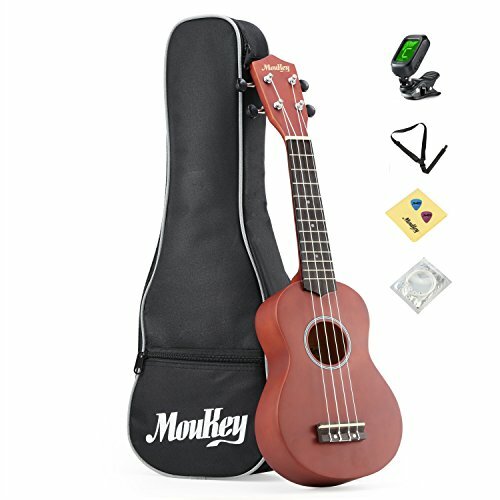 Enjoy your music life easily with Moukey Ukulele! 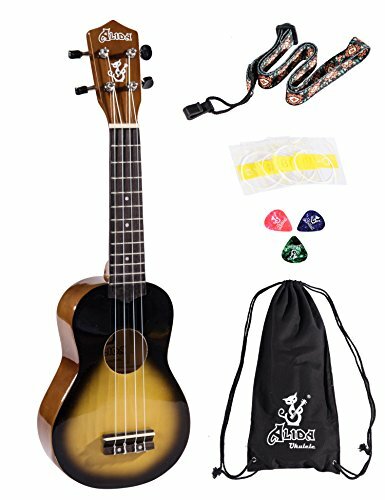 Accessories included are all of prime quality to make sure user experience for ukulele learners and lovers. 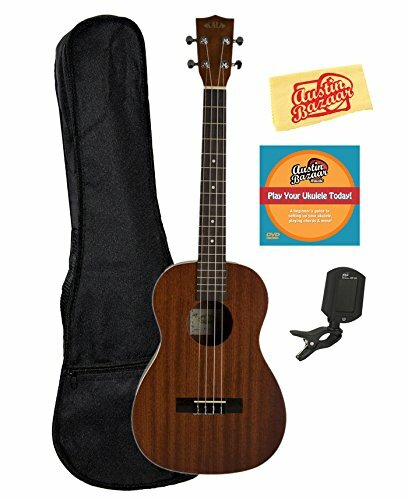 The 21 inches padded gig bag is specially padded and thicken to better protect the ukulele, but even so, it has a thicken a shoulder belt and a deal with on the back and side respectively, making it easy to carry. 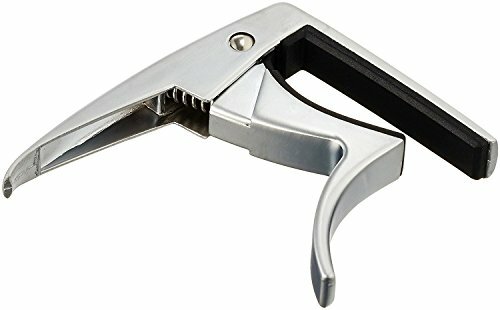 Strap is of two-snap-fastener design for tying and untying, and its length is adjustable to fit players of different height. 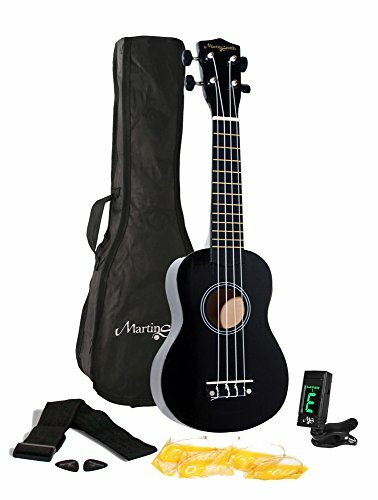 The digital tuner is clip-on tuner that it may be attached to the ukulele and adjusted to a proper angle to be used. Pick are specially made with proper thickness and size for better strumming. Cleaning cloth is made of cotton fabric that may be soft for cleaning and polishing wooden materials and also nylon strings. 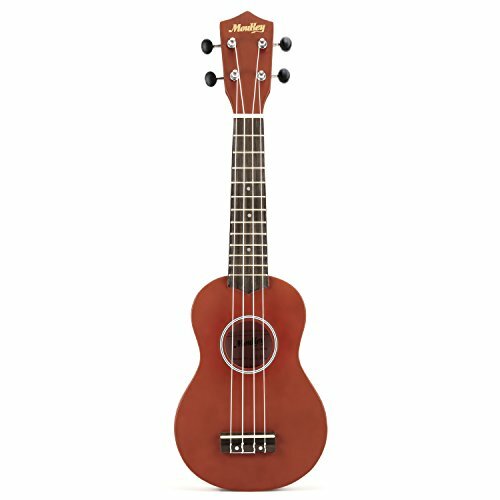 TRADITIONAL 21INCH SOPRANO UKULELE. 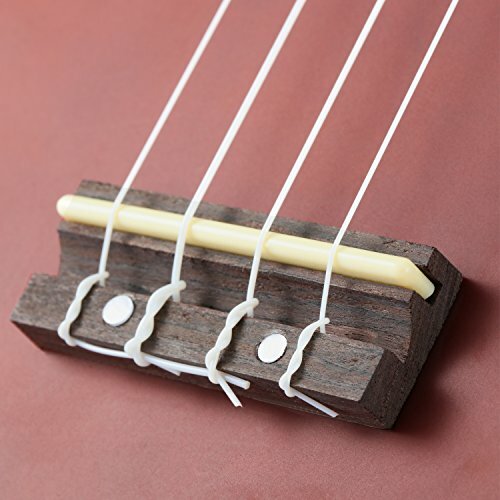 With prime quality basswood body and four nylon strings. SMOOTH AND ACCURATE. All the time stay in tune after tuning. Easy-to-use clip-on tuner is freely provided so that you can tune the ukulele as necessary. COME WITH FREE NECESSARY ACCESSARIES. 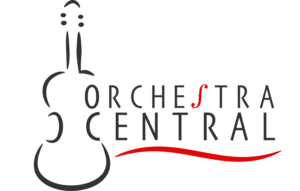 Package includes free and high-quality gig bag, strap, digital tuner, medium picks, cleaning cloth and extra Aquila strings. Smartest choice for learners as it offers everything needed whilst saves money.